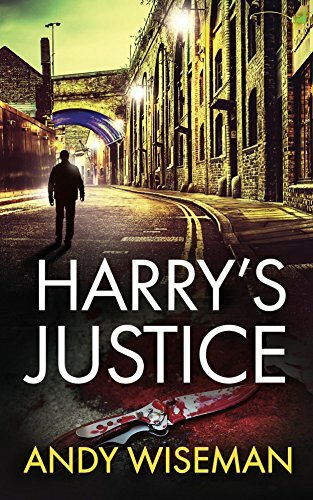 I thought Harry's Justice was excellent. The characters are well-developed and the plot, although brutal at times, flowed fantastically. I was totally engrossed and it soon became apparent I was reading a quality piece of writing. I hope author Andy Wiseman has plans for more books featuring Harry Windsor. A great read. My thanks to author Andy Wiseman for providing me with a copy of this book. Harry Windsor is an ex-gangland enforcer, now an ex-convict who has made a vow to go straight. But he’s finding it difficult. 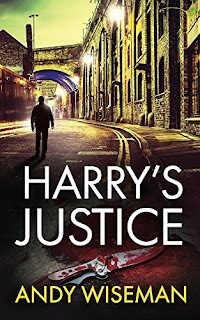 Following a chance meeting with a man whose daughter has gone missing, and an offer of payment to find her, Harry begins a search. The consequences take him back into London’s criminal underworld where he encounters the ruthlessness of Russian organised crime, the cunning of his former crime boss, and the police wanting to arrest him for murder. The search becomes one of survival as Harry deals retribution and justice in equal measure, yet torn between whether or not to break his vow in order to save the girl. Harry’s journey is one of self-discovery and dark secrets, facing fears in order to exorcise the demons of his past. Will the journey’s end bring Harry a level of peace and closure?